Geraldton is a thriving regional city, overlooking the Indian Ocean and supporting a rapidly growing population. 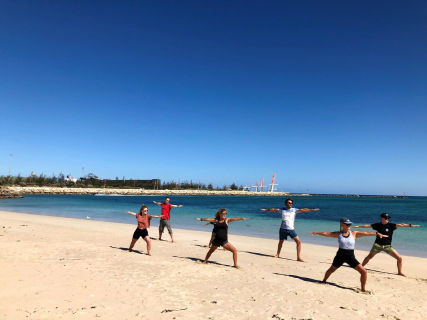 Situated just over 400km north of Perth, Geraldton has all the major services, cultural, shopping and sporting facilities you would expect in a city, yet a more relaxed pace of life, typical of the country. As the regional service centre for the entire Mid West region, business and employment opportunities are many and diverse. From fishing to tourism, mining to agriculture, small business to government roles and a comprehensive range of tertiary service industries, people from all walks of life are attracted to Geraldton’s climate of opportunity. Greater Geraldton (map) is a rapidly growing local authority, rich in indigenous and pioneering history. Geraldton is surrounded by Greenough which boasts fertile farm land and world class beaches. Situated an hour’s drive inland from Geraldton, Mullewa sits in the heart of the wildflower region of Western Australia. This website is a great source of demographic information for Greater Geraldton. For more information about Geraldton’s vibrant community, please contact the City of Greater Geraldton. The demographic data presented in this profile has been sourced from REMPLAN and the Australian Bureau of Statistics, (ABS) Censuses of Population and Housing. City of Greater Geraldton has access to the full version of REMPLAN Community with detailed demographic data (1991 to 2016) for all available Census variables and geographies. For additional information about living, working and playing in Greater Geraldton (C) please contact City of Greater Geraldton .